BPW/St Petersburg-Pinellas is the local chapter of BPW/FL. Founded in 1919, BPW crosses generations,occupations and political parties. 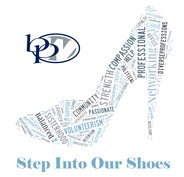 BPW’s mission is to achieve equity for all women in the workplace through advocacy, education and information. BPW/St. Petersburg-Pinellas meets for lunch on the first and third Thursdays of each month at 400 Beach Seafood and Tap House, located at 400 Beach Drive NE in St. Petersburg.